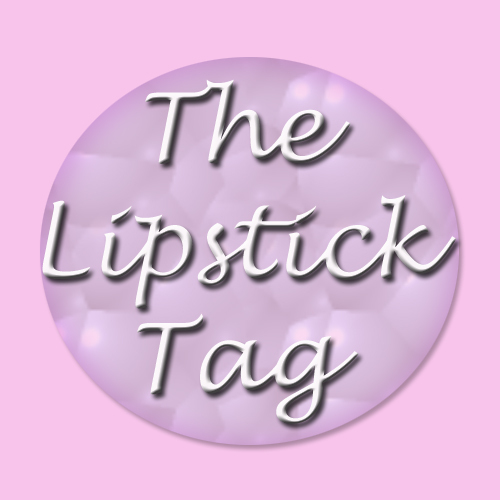 So, today I thought I would do 'The Lipstick Tag' which was created by the lovely Maxi from The Lipstick Blog. It's a really fun tag to do, and if you would like to do this tag too, consider yourself tagged! So here are the questions and my answers to this lippie tag. I've just counted them all and I seem to currently own a total of 68 Lipsticks! That's a lot a lippie! The first ever proper lipstick I can remember wearing was a Rimmel Lasting Finish Lipstick in the shade 'Drop of sherry'. I really loved this lipstick and wore it a lot! It was a 'my lips but better' kind of shade. This is a difficult one... hmmm, let me think... I'd probably have to say my MUA lipstick in shade 16 'Nectar' which is a really lovely peachy coral shade. Probably MUA because they do some great lipsticks for £1! They have 16 shades in their basic range and it's incredible to think that one MAC lipstick now costs £15 whereas for £16 you could own the entire MUA Lipstick range! Or you could wait until Superdrug do a 3-4-2 offer and snap them up even more cheaply! It's actually not too difficult to find brands that do great lipsticks on the high street for very reasonable prices. A matte or cream finish. I think that these tend to last longer on the lips and they always look really flattering. A lipstick! It was a Sleek Intense Pigments True Colour Lipstick in the Shade 'Blaze'. It's a quite unusual shimmery orangey brown colour. Six! 3 lip glosses, 1 lip liner, a tinted lip balm and a strawberry lip balm. My MUA lipstick in Shade 13 which is a classic pillar box red colour. In a large clear plastic container with all my lip liners, lip primers and my Lipcote lipstick sealer. I'd probably have to say that I'm lusting after a couple of shades from the Maybelline Color Sensational Vivid Lipstick Range! And that's it for this tag! If you have already done this tag or decide to do this tag, please leave a link below in the comments for me so I can check it out. Also, don't forget the check out The Lipstick Blog.